Licences can be offered for incorporating the e-book, the concepts and the name ‘Pink Bucket Thinking’ into your offering to your clients. Volunteers who professionally support people in not-for-profit organisations or in charitable ventures. 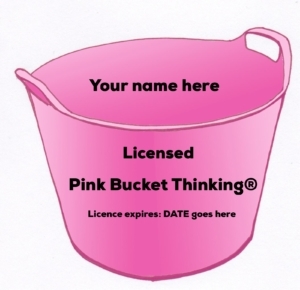 Are you an independent professional people-developer such as a therapist, coach or trainer and wish to incorporate the e-book, concepts and the name ‘Pink Bucket Thinking’ into your offering to clients, with our blessing? You can buy an annual licence for just £200 + vat (£240 inc vat). Contact us to arrange to buy a licence. Are you a volunteer, professionally supporting people within not-for profit organisations or in charitable ventures (without charge)? Do you wish to incorporate the e-book, concepts and the name ‘Pink Bucket Thinking’ into your offering with our blessing? You can request a FREE annual licence. Contact us to arrange for us to issue a FREE annual not-for-profit / charitable venture licence. 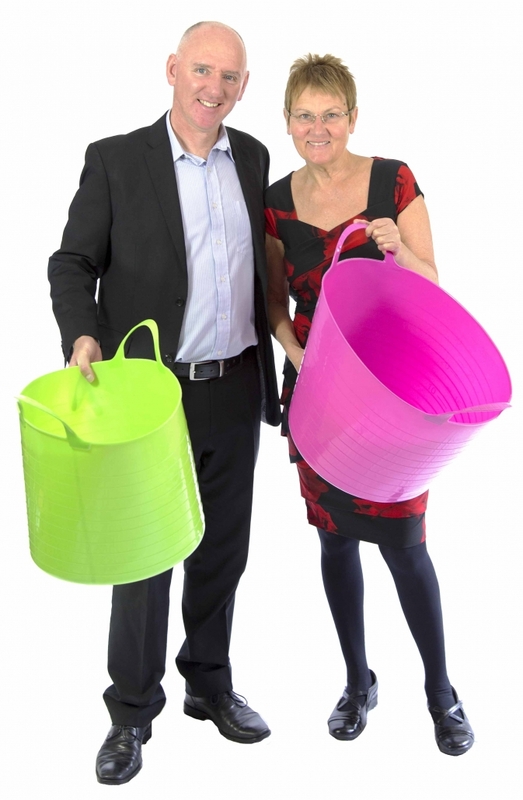 Do you represent a company or organisation and wish to incorporate the e-book, concepts and the name ‘Pink Bucket Thinking ’ into your offering to your staff and/or clients, with our blessing? Contact us to discuss how we can best make this a win-win-win situation. Together we can start some positive ripples that turn into positive waves that can extend across the globe. If you have special requests for joint ventures or other kinds of collaboration, please feel free to contact us with an outline of your request or proposal.